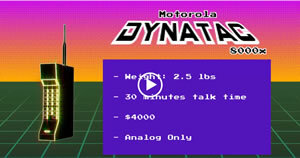 Skyworks, the advanced wireless solutions provider, has launched a fun animated video describing how wireless communications works. It’s just 4 minutes long and explains how voice, data and all our devices can talk with each other. At SourceTech411 we specialize in Marketing and Design Consulting for the technology community. Please see our website for how we can help grow your business and bring your Ideas into reality.